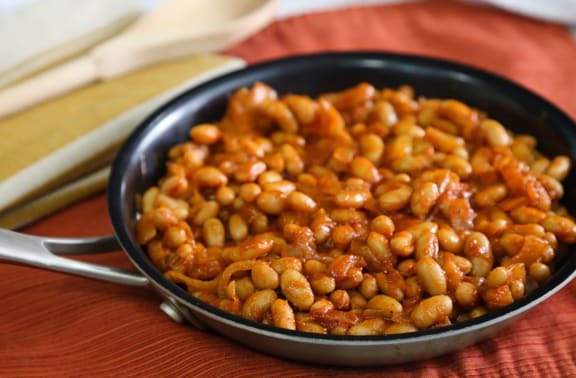 If you like the kind of vegetarian baked beans that come in a can, you’re sure to love this yummy, quick homemade version even more. 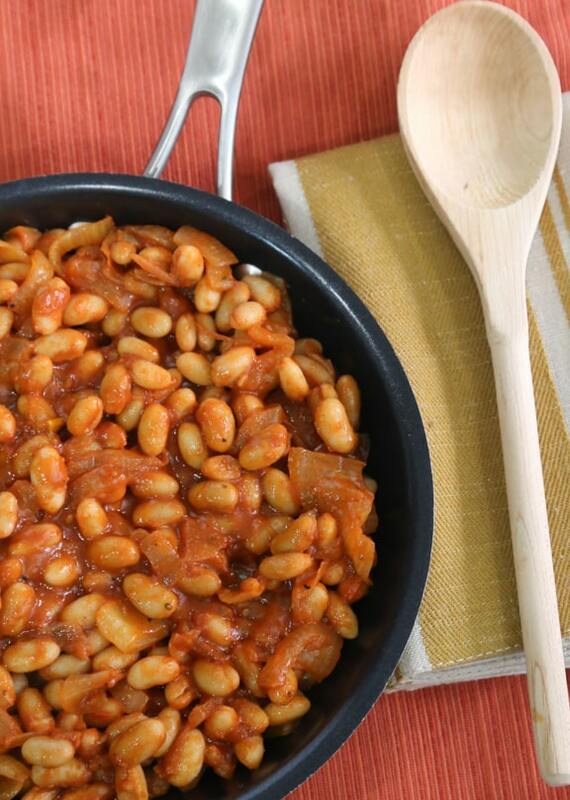 White beans are cooked in a skillet with a sweet and savory sauce. It’s a dish that comes together quickly. For a simple meal, serve with baked sweet potatoes or a grain dish, and one of VegKitchen’s slaw-style salads. Photos by Evan Atlas. If you like the kind of vegetarian baked beans that come in a can, you’re sure to love this yummy, quick homemade version even more. Heat the oil in a large skillet. Add the onion and sauté over medium-low heat until translucent. Add the garlic and continue to sauté until the onion is golden. Add the remaining ingredients to the skillet, plus 3 tablespoons water, stir together. Continue to cook for 10 to 15 minutes over low heat, stirring occasionally. The sauce should be nicely thickened and enveloping the beans. Serve at once.